Gateshead International Stadium has an enviable reputation for hosting some of the UK’s top sporting events. Providing superb training facilities for talented athletes, sports clubs and the local community, the stadium is a first-rate sports centre, which is accessible to all. 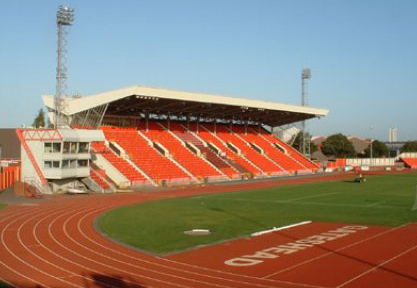 As well as many sporting clubs, Gateshead International Stadium is home to Gateshead College Sports Academies and The English Institute of Sport, North East. The Stadium plays host to major events such as international athletics and music concerts, local activities such as club fixtures and exhibitions as well as running various holiday programmes and sports camps. The stadium has a capacity of 11,800, all seated. Most of the seating is not undercover, though the Tyne and Wear County Stand is covered, and holds 3,300 people. This is the only stand used for most rugby and football matches.